Neanderthals hunted in bands and speared prey up close, according to an analysis of prehistoric animal remains from Germany that contradicts the enduring image of these early humans as knuckle-dragging brutes. Cut marks on the bones of 120,000-year-old deer offer the oldest “smoking gun” evidence that these weapons were used to stalk and kill prey. Microscoping imaging and ballistics experiments confirmed the use of wooden spears. “This suggests that Neanderthals approached animals very closely and thrust, not threw, their spears at the animals, most likely from an underhand angle. Such a confrontational way of hunting required careful planning and concealment, and close cooperation between individual hunters,” said Sabine Gaudzinski-Windheuser, a researcher at Johannes Gutenberg-University Mainz, Germany. It was long believed that Neanderthals that lived in Europe about 300,000 years ago lacked symbolic culture and the ability to compete. However recent research results revealed that they were smarter and more sophisticated that once thought. In fact they practiced burial rituals, created tools and painted animal images on cave walls. The new find from the Neumark-Nord area of Germany removes any doubt that spear-like implements were used 300,000 to 400,000 years ago. “As far as spear use is concerned, We now finally have the ‘crime scene’ fitting to the proverbial ‘smoking gun’,” Gaudzinski-Windheuser said. 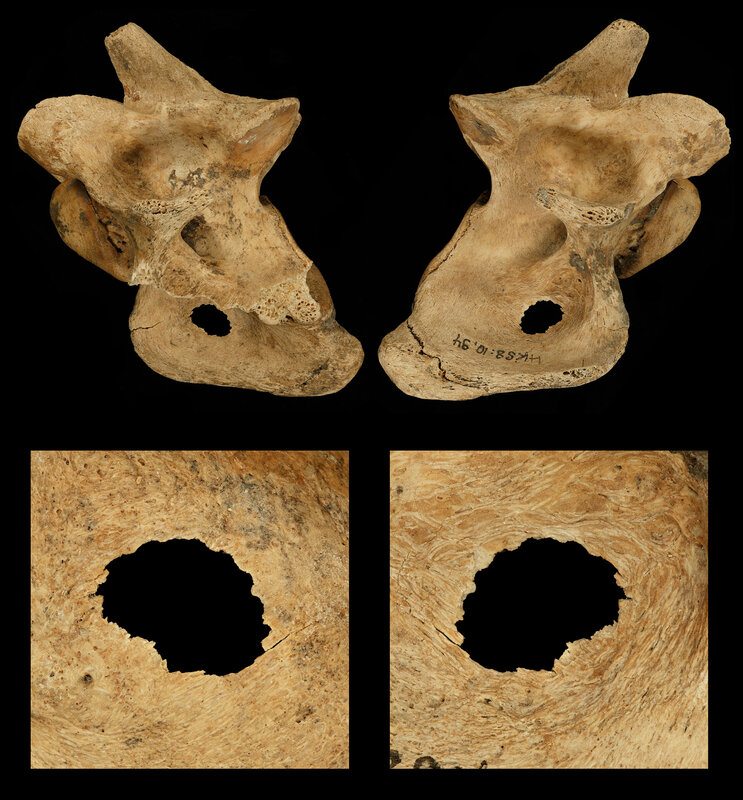 Since the 1980s tens of thousands of bones from large mammals, such as red and fallow deer, horses and bovids, have been found at the same site. Stone artefacts discovered there as well have attested to a flourishing Neanderthal presence. 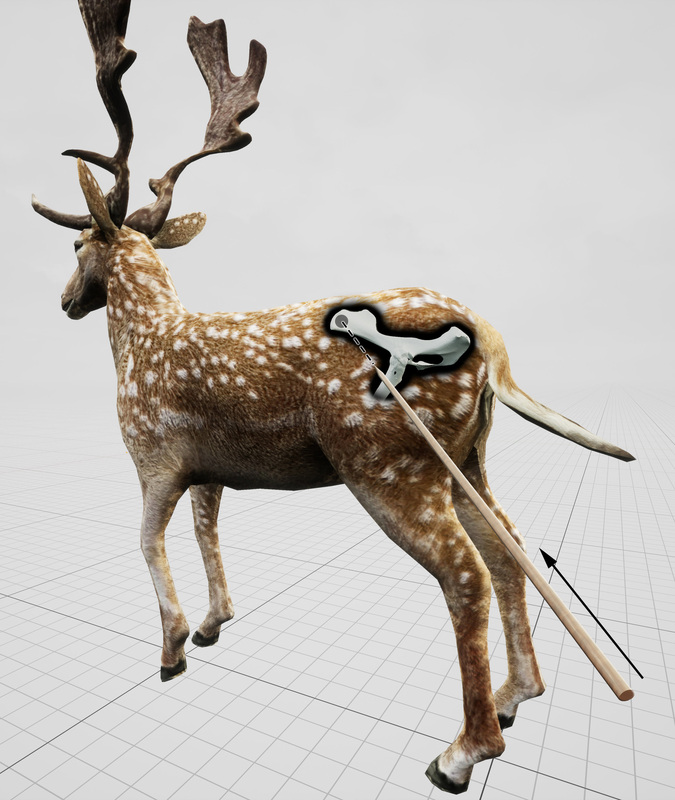 New technologies used to analyze the old deer bones have revealed various informations: which injuries were lethal, what kind of weapon was used, and whether the spears were thrown from a distance or thrust from close up. According to Gaudzinski-Windheuser, we should also allow for the possibility that Neanderthals threw their spears as well.